Do you get to the end of the week and have a few ripe bananas left over? Ripe bananas are great for baking but a lot of recipes are time consuming and unhealthy. These cookies, however, are super simple, quick, healthy and involve staple ingredients usually found in your pantry. If you feel a bit adventurous you can add in some choc chips, walnuts, peanut butter, nutella, cinnamon, raisins or cranberries. Mix and match the ingredients for different flavour combinations! 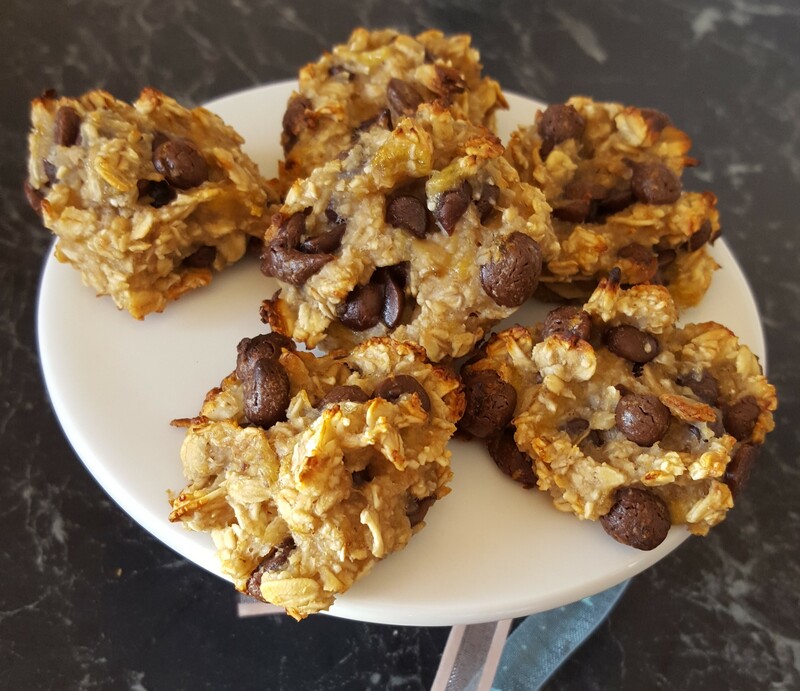 The great thing about this recipe is that it is vegan, made with natural sugars, is rich in protein and can be easily adapted to be made gluten free (swap the oats to a brand without wheat traces). 1. Preheat oven to 175°c fan-forced. 2. Mash bananas in a small bowl with the back of a fork or masher. 3. Add oats stir until combined. 5. Scoop balls of mixture on a lined tray using a spoon. 6. Bake for about 13-15 minutes until the cookies are slightly brown. 7. Allow to cool for 5-10 minutes on the tray before moving them to a cooling rack….or eat them warm!